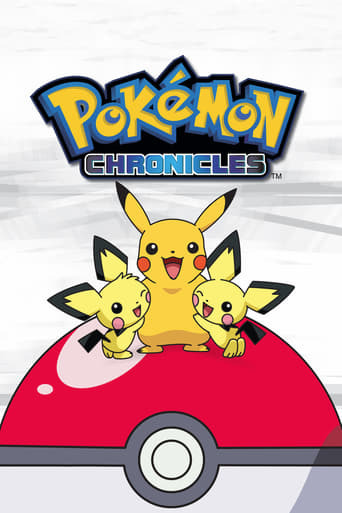 Pokémon Chronicles, partly known in Japan as Pocket Monsters Side Stories, is a spin-off series of the Pokémon anime, revolving around characters other than Ash Ketchum. It first aired in Britain on Toonami, where the initial run has now finished. The only places where episodes are currently airing for the first time are the Caribbean, and Latin America on Cartoon Network Monday to Friday at 9:00pm EST/ 10:00 MXT. The show airs in India on Cartoon Network Thursday and Friday at 7:30pm IST. However, in Latin America, it seems the show has been cancelled because Poo Poo Power was put when Pokémon Chronicles usually is. The series made its U.S. premiere on Cartoon Network on June 3, 2006 at 7 PM US ET/PT after it ended in most other countries. In addition, episodes are available online through Cartoon Network's "Toonami Jetstream" online video site, and moved to the Miguzi block for November at 5:30 PM US EST on November 6, 2006. Four DVDs have been released in the United Kingdom, with a U.S. release still non-existent. All of the episodes have been released as extras on the first six season box sets of Pokémon in Australia. A box set containing all 22 episodes has also been released in Australia.